I keep thinking I’ll do some random posts in a row for a “series” or a “theme”. Like…”Soup for February” or…something. But I have realized that means that I have to eat a lot of the same kind of thing for a long time in a row. (But. Yeah. Soup. I could totally do that). This year I had a wild hair that “OCTOBER SHALL BE FILLED WITH PUMPKIN”. 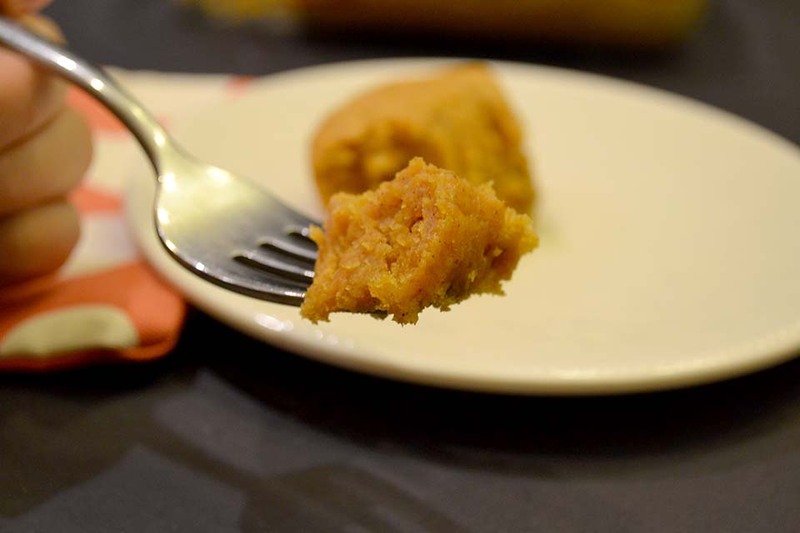 Now the truth is – September, October and November are always filled with pumpkin for me. You see – I kind of have a pumpkin problem. I love it. So So much. I can’t tell you if all of this month’s recipes will be pumpkin filled. But… a lot of them will be. That’s good, right? 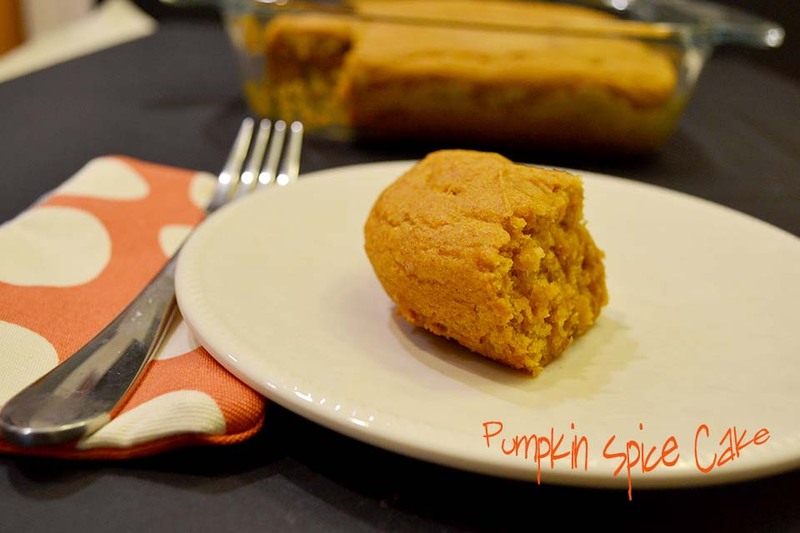 I’m not sure what pumpkin-filled recipes would be without Pumpkin Spice Cake. 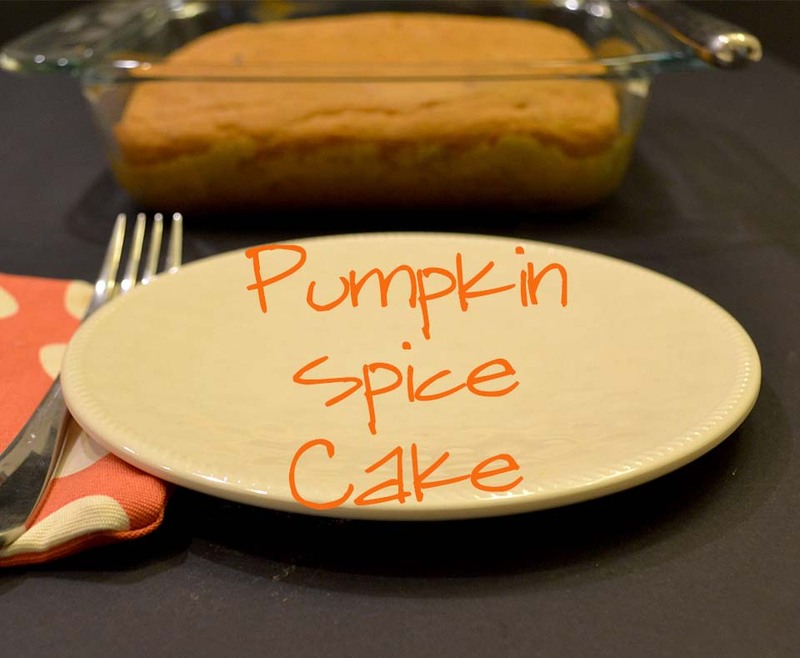 You want to know the secret about this pumpkin spice cake? < IT IS SO EASY. Really. I’m not kidding. 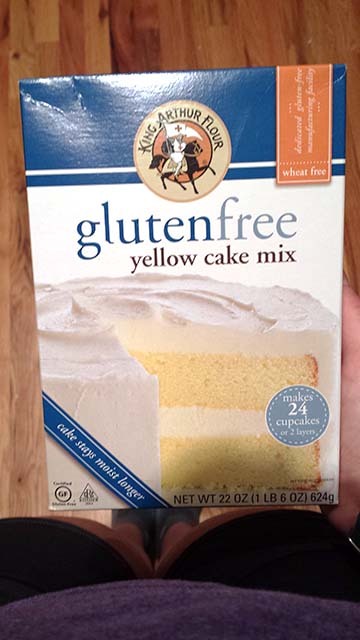 First, you start with a box of gluten free cake mix. < I know. I know. I know. Give me a break. I prefer King Arthur’s Brand. And…wow…that picture was SO not taken on the day I made this. Since the day I made this was freezing-cold-not-shorts-weather. Bake for 35 – 40 minutes, but begin checking it after 30 minutes. It is done when it is firm to the touch on the top. Allow to cool completely before cutting or eating. P.S. … Coming next week… Yeah. 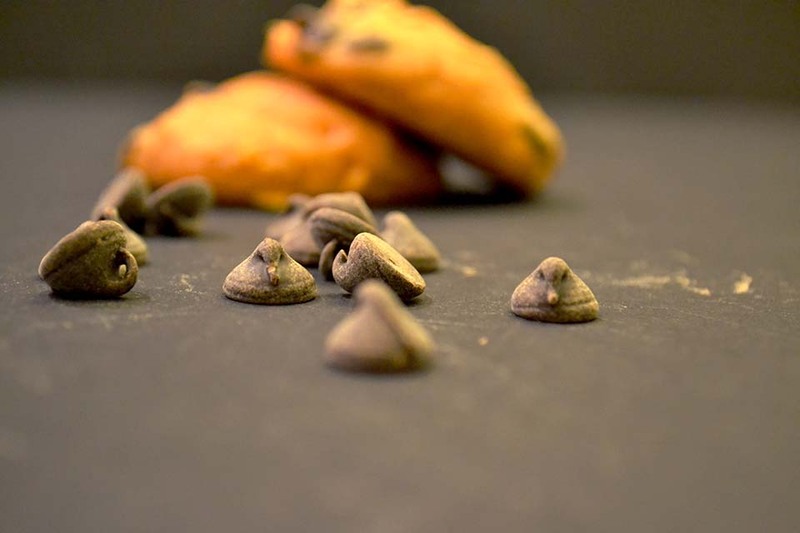 That’s a Pumpkin Spice Chocolate Chip Cookie.